New full-service, value-priced salon arrives at Assembly Row. Somerville Chamber of Commerce also participated in the ceremony. 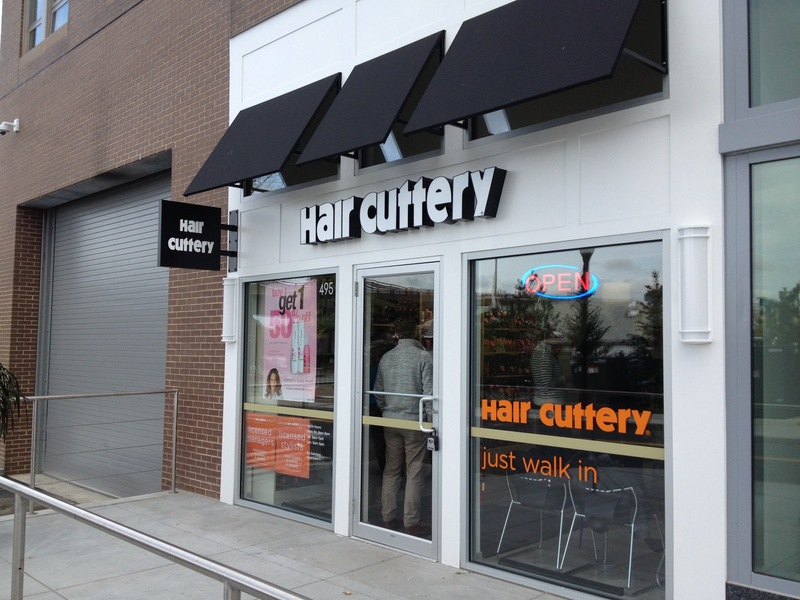 The new salon is located at 495 Artisan Way in the Assembly Row shopping plaza. 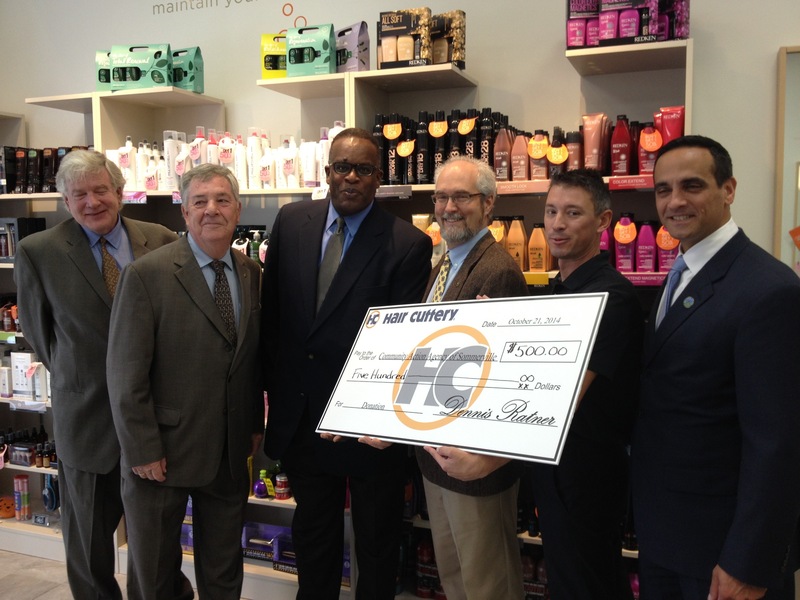 As part of the grand opening festivities, Hair Cuttery team up with the Community Action Agency of Somerville (CAAS). From September 24th to October 21st, five percent of all proceeds from the new salon were donated to CAAS in recognition of the outstanding work they do for the community. A check for $500.00 was presented to David Gribb, Executive Director of CAAS, at the ribbon cutting ceremony. Hair Cuttery has an established legacy of charitable support. For the past 15 years, it has sponsored Share a Haircut, a national charitable campaign aimed at giving free back-to-school haircuts to children in need as well as haircuts for the homeless. Through partnerships with local social service agencies, Hair Cuttery has donated more than 125,000 haircuts in the last year and more than 950,000 haircuts since the program’s inception in 1999. Hair Cuttery salons also support local charities and community causes through cut-a-thons and donations. Hair Cuttery salons offer the full complement of services, including cuts, color, styling, texturizing and waxing services at an affordable price. They also offer an extensive assortment of professional retail products, including Redken, Paul Mitchell, Matrix and TIGI. All locations are open 7 days a week with no appointment necessary.